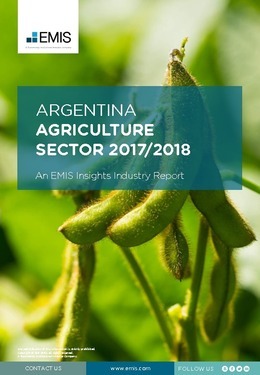 The agriculture, livestock and fishing sector plays a key role in Argentina’s economy, accounting for 6.4% of GDP, 29.9% of the total exports and 5.3% of the total registered employment as of the end of 2016. During the year, the agricultural export value expanded by 10.2% y/y, largely outpacing the growth rate of the total exports, which registered a marginal increase of 1.7%. A crucial factor for the rise of sectoral exports were the government policies implemented throughout 2015 and 2016, such as the removal of export tariffs and quotas on key products, which improved the scale of operations and the profitability of domestic producers. In addition, the devaluation of the Argentinean peso after the liberalisation of the exchange market in December 2015 further boosted the competitiveness of domestic products on the foreign markets. This report provides a complete and detailed analysis of the agriculture sector for Argentina. EMIS Insights presents in-depth business intelligence in a standard format across countries and regions, providing a balanced mix between analysis and data.